The Case of the Public Doyle-main | Copyright On! Understandably, intellectual property owners try to extend copyright protection for their successful works and characters beyond their term. Superman, Micky Mouse, Betty Boop, Amos and Andy, the song “Happy Birthday,” and any number of other characters and works have been involved in attempts to extend the creative monopoly of copyright. Sometimes owners simply ask Congress to extend the term, sometimes owners claim trademark protection when they’re really trying to protect the copyright, or offer creative copyright theories to skirt around the notion that copyright protection shall exist “for limited times” as mandated in the Constitution. However, a recent trend in courts has popped up, enforcing those copyright limits against intellectual property owners, and rejecting efforts to further extend protections of works that otherwise might have entered the public domain. See, e.g., Fleischer Studios, Inc. v. A.V.E.L.A., Inc., 654 F.3d 958 (9th Cir. 2011). Today’s decision in Klinger v. Conan Doyle Estate, Ltd. (7th Cir.) continues the trend. 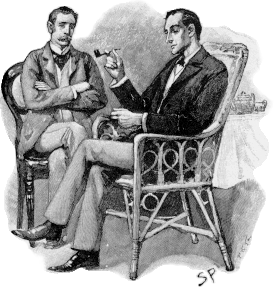 Arthur Conan Doyle wrote Sherlock Holmes stories from 1887 to 1927. Those works published prior to 1923 have unquestionably fallen into the public domain. Nonetheless, the Conan Doyle estate continued to demand a license from anyone who would publish works featuring Holmes, loyal Dr. Watson, the nefarious Professor Moriarty, or any of the other Conan Doyle creations from those stories. Since the later works are still protected by copyright, the Doyle Estate reasons that the characters were not fully created until their final chapters of their stories were published in 1927, and thus the copyright in those characters persists, requiring a license. Leslie Klinger co-edited a book featuring new adventures of Sherlock Holmes which was authorized by the Conan Doyle estate. He wanted to create a sequel to that book without paying the license fee. When publication was held up by a cease and desist letter from the Conan Doyle estate, Klinger brought an action for declaratory judgment, requesting the court declare that his works did not infringe any valid copyrights of the Conan Doyle estate: essentially that the character of Sherlock Holmes has entered the public domain. The district court found that Klinger is free to use material from the Sherlock Holmes works that are no longer protected by copyright, and the Conan Doyle estate appealed. The question addressed by the court is “whether copyright protection of a fictional character can be extended beyond the expiration of the copyright on it because the author altered the character in a subsequent work.” You can almost tell from the wording of the question that the Conan Doyle estate would lose. The opinion reads as smooth as butter. I have long suspected that Judge Posner (rhymes with “froze her”) dictates his breezy and conversational opinions on his drive home from work. Sometimes that leads to loosey-goosey explanations of the logic supporting his decisions. This case is no exception. Posner structures his argument as an attack on the Doyle estate’s defense, rather than support for Klinger’s position. It seems to shift the burden from the plaintiff to the defendant. It also treats the answer to the question as if it is obvious, not trying very hard to build deep support for the decision. It can be hard to use a Posner decision to support anything other than nearly identical fact patterns, since his decisions read less like a recitation of doctrine and more like an amiable story. Copyright Protection for a Long Time. A Long Time. In his decision, 7th Circuit Judge Posner considered this question from modern angles. “A contemporary example is the six Star Wars movies: Episodes IV, V, and VI were produced before I, II, and III. The Doyle estate would presumably argue that the copyrights on the characters as portrayed in IV, V, and VI will not expire until the copyrights on I, II, and III expire.” This makes me wonder how many times Star Wars has been discussed in a published decision. (189 federal opinions mention “star wars,” but many of those cases are actually about Star Wars.) Also, it reminds us that nerds write laws, and the popularity of ComicCon is not the only reminder that the geeks have inherited the earth. The Conan Doyle estate argued the clever (if unavailing) doctrine of continuing creation: Until the adventures of the character are complete, the character has not been fully “created,” and thus the public domain clock does not start ticking. If it had worked, instead of lobbying Congress for another extension of the term of copyright, all Disney has to do is publish another Mickey story, and the character will remain out of the public domain! The Conan Doyle Estate letter to Klinger is revealing. “If you proceed instead to bring out [your new Sherlock Holmes book] unlicensed, do not expect to see it offered for sale by Amazon, Barnes & Noble, and similar retailers. We work with those compan[ies] routinely to weed out unlicensed uses of Sherlock Holmes from their offerings, and will not hesitate to do so with your book as well.” Outside of being a somewhat bullying cease and desist letter (which is normal), it suggests contractual relationships with channels of distribution for works that are designed to further frustrate the entry of works into the public domain. Pingback: Update on the Case of the Public Doyle-Main | Copyright On! Pingback: Guardians of the Galaxy’s “Nova” was taken from its creator by a bankruptcy court | Copyright On!